Nautilus’ specialist high-powered RIBs blast across the bay to the neighbouring islands of Kephalonia and Ithaca, either during the day or at sunset. It’s pure exhilaration! Visit hidden caves, beautiful secluded beaches for snorkelling and swimming and maybe even see dolphins or flying fish. 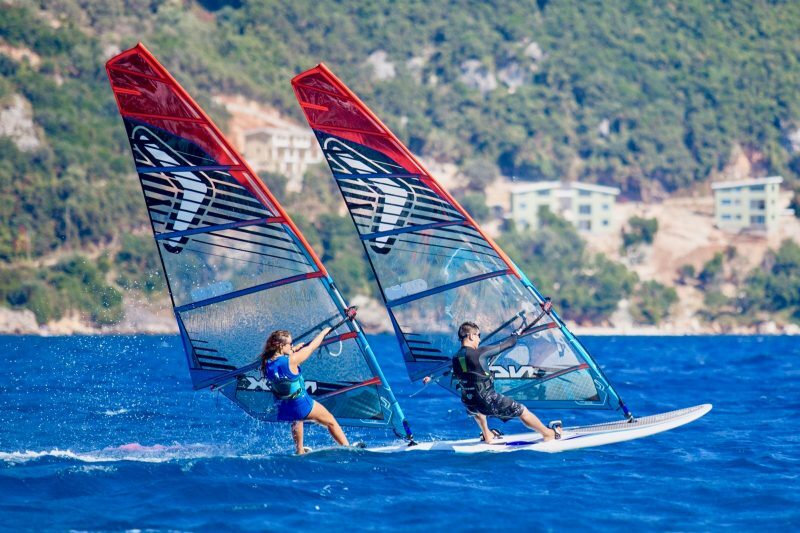 This is a great way to explore around Vassiliki Bay. Half-day trips mean you can be back at the club in time for the afternoon cross-shore (more advanced windsurfers) or go sight-seeing in the afternoons if it’s too windy (the less experienced). Exploring caves and hidden coves, dolphin spotting and lunch in local tavernas are all part of the fun.